Following a generous bequest from a former member, it has enable us to invest in a purpose built set of tees to further develope and enhance the clubs facilities. 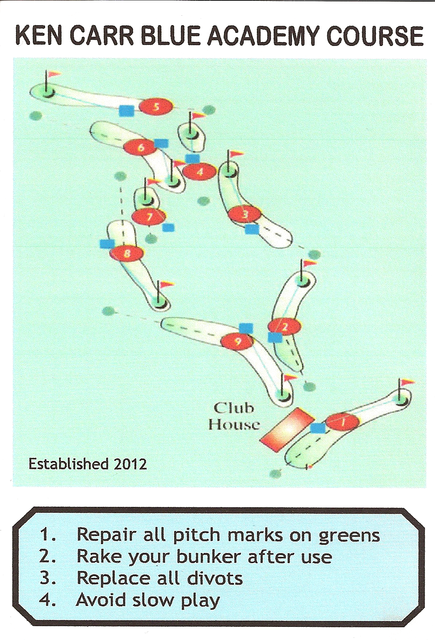 Completed and opened in May 2012, the "Ken Carr Academy course" gives juniors a chance to play on the front nine holes with a more suited course layout. This further develops our ongoing commitment to encouraging, improving and enhancing the skills of our Junior section. 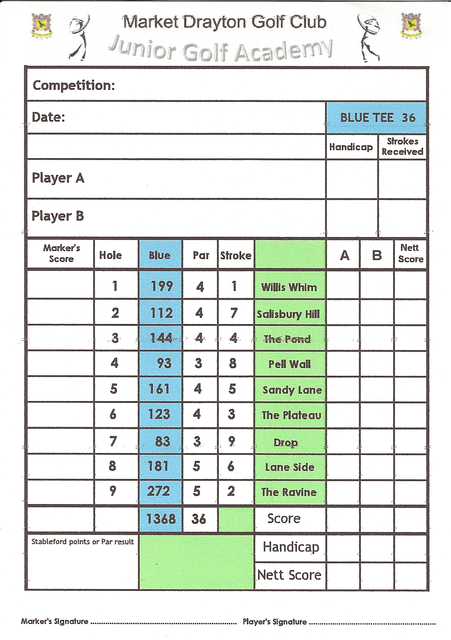 Below you can find the Course card and layout.